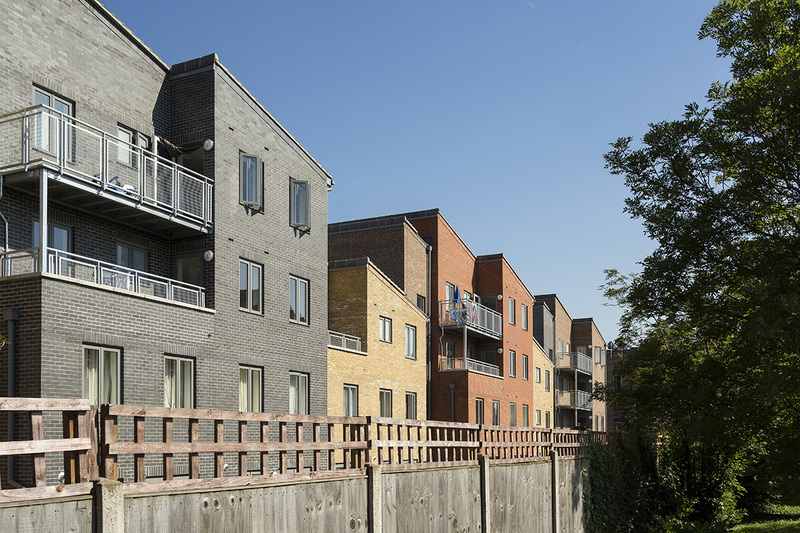 Kingfisher Court is a new affordable housing development of 78 Code for Sustainable Homes Level 4 homes in Romford, Essex. Baca’s concept was to create a series of new build ‘converted townhouses’ organised around a central street. Each townhouse consisting of two maisonettes at ground floor with either one or two flats above. This avoided the need to create deck access to those flats located above ground level whilst breaking down the mass of the development into a human and friendlier scale. Each townhouse is finished in a different colour brick and stepped in plan and elevation to distinguish it from its neighbour. 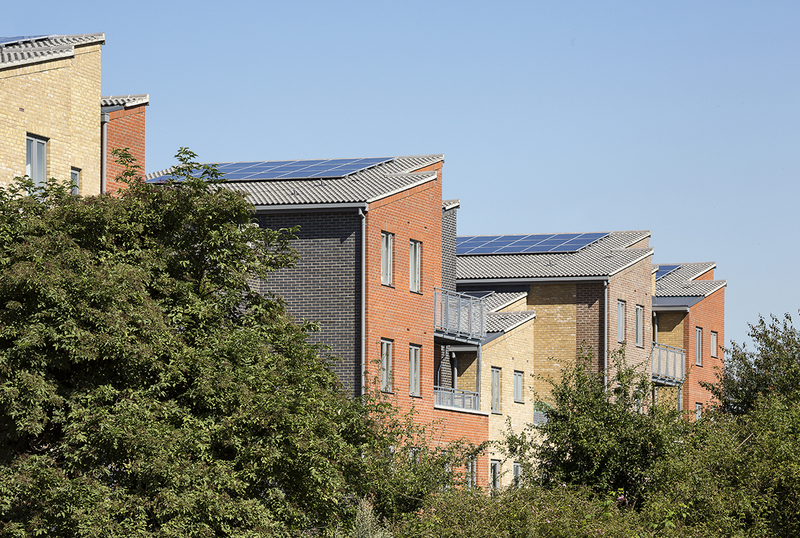 The pitched roofs are orientated south to support a solar panel installation and are designed to create a striking design, rising and falling around the stair cores, a forming a strong silhouette. 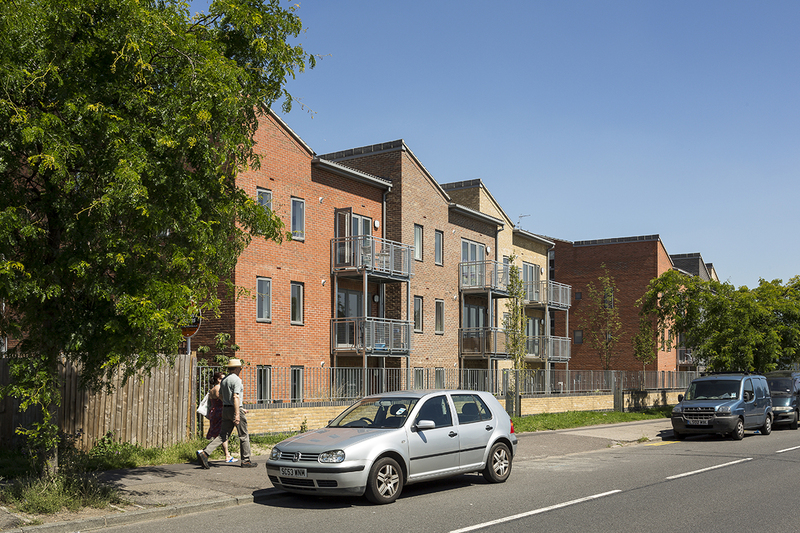 Kingfisher Court was developed by local housing group East Thames who worked with Havering Council and local residents to change the use of the land and pave the way for this development - 77% of which comprises of family sized homes.